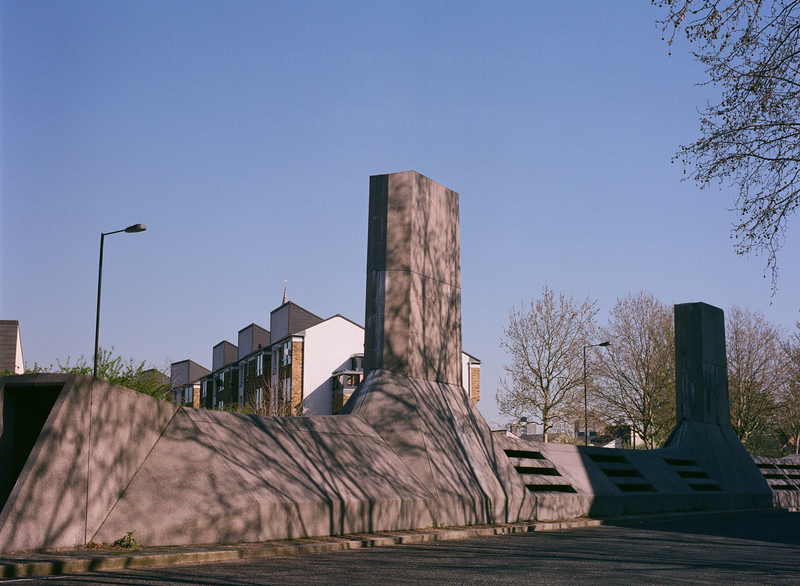 A submarine-like structure sits on a traffic island in the middle of Akerman Road, London SW9. It was built in the 1970s above the large underground boiler room that provides heat for the Myatt’s Field estates, which lie on either side of the road. The boilers still heat more than 300 buildings to the south of the road, but their unreliability caused the north-side estate to switch to another heating source in the early 1990s. The heating system was sited underground because to do so was considered ‘best practice’ at this stage of the Cold War, when a nuclear conflict sometimes seemed a distinct possibility. At the time the estates were built, both the US and the USSR maintained large fleets of weapon-bearing submarines: ocean-going doubles of the Akerman Road structure. In spring 2008 I made some recordings of the machinery in the boiler room. These have been organised into a composition. I have filtered some of the sounds but no digital processing has been used. Thanks to Stuart Dixon and Lambeth council for letting me in!